"Our Values are central to all that we do and our commitment to clients and staff has been acknowledged by industry experts.” - David Loudon, Joint Chief Executive. The Main Board is the ultimate decision maker and setter of strategy. All the major control committees of the firm (Audit, Risk, Remuneration, CASS, and IT Strategy) are chaired by a member of the Main Board. All directors in the firm report to the joint chief execs. Main Board members have access to all parts of the business, but are not routinely involved in day-to-day operational issues. They do, however, maintain direct relationships with staff throughout the firm. David joined the firm in 1993 after 12 years working in marketing and general management in the travel and banking industries. He qualified as a stockbroker in 1994 and as a Fellow of the Securities Instititute in 1995. 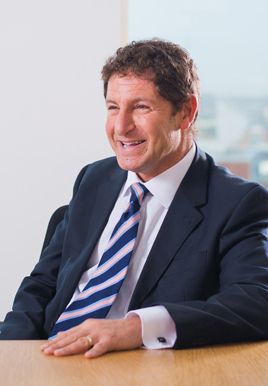 He has represented the firm and the industry as a member of various groups and is currently a board member of the Personal Investment Management and Financial Advice Association (PIMFA). David has direct responsibility for the firm's Operations and Custody, Finance, Compliance and HR/ Organisational Development departments, and is also a member of the firm's 'remuneration' and 'client assets' committees. David is also a trustee and the chair of Finance and Audit for the Leeds Hospital Charitable Foundation, one of the largest NHS-linked charities in the UK. David has provided expert written commentary for the media and has experience in broadcast interviews, including local and national BBC TV and radio. 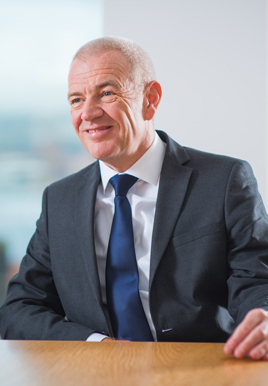 Stuart's career in the financial services industry began in 1983, firstly in accountancy before moving to stockbroking in 1986. After working at a number of city firms he joined Redmayne Bentley in 1991 and opened an office in his home village of Chislehurst. He later relocated to what is now our Locksbottom office in 1994. 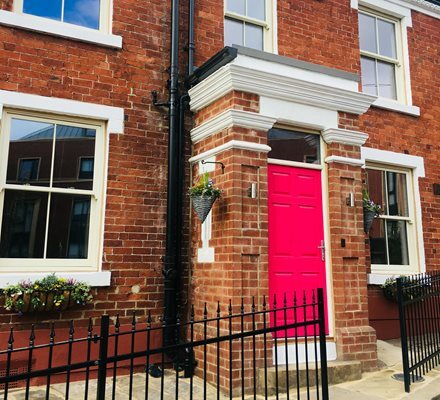 The team grew quickly, and by 2000 it employed 24 members of staff, becoming our largest office outside of our city locations of Leeds and London. 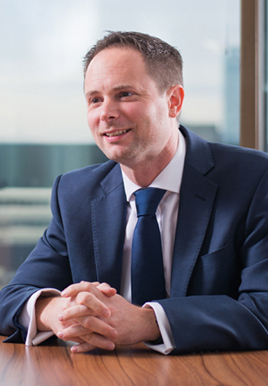 Stuart became an equity partner of the firm in April 2003, and now has direct responsibility for Investment Management, Stockbroking, IT and Business and Branch Development. In addition to this, his role includes contributing to, and implementing, strategic planning for the firm. In 2005 Stuart became a Fellow of the Securities and Investment Institute. Keith has occupied a leading position in stockbroking, both regionally and nationally, for decades and has an unrivalled understanding of the stockbroking industry. Upon leaving school, Keith decided to become an accountant and joined John Gordon Walton in 1950. He was later asked by his father, Gavin Loudon, to join him at Redmayne & Co. The firm developed rapidly, when Gavin Loudon masterminded the merger of Redmayne & Co with FW Bentley & Co and JW Granger & Co to become Redmayne-Bentley in 1965. Keith became a partner of the firm in the 1960's. As well as heading up Redmayne Bentley, he has also been heavily involved in politics, having served on Leeds City Council for over 40 years. During his time as Lord Mayor of Leeds in 1993 - 1994, he worked hard to maintain and raise the profile of the city and support initiatives enabling older people to lead more active and fulfilling lives. He is well known as a fighter for the rights of private investors and was an active commentator against the New York's Nasdaq (failed) bid to take over the London Stock Exchange. He was invited by the Bank of England to be a member of the Committee that looked at dematerialised settlement, and eventually became a founder Director of CREST. In 2012, Keith was presented with a 'Lifetime Achievement' award at the City of London Wealth Management Awards. He was also appointed an Officer of the Order of the British Empire (OBE) in the New Year 2015 Honours List. 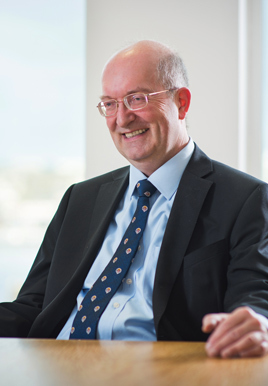 Michael joined what is now Deloitte LLP in London; qualifying as a Chartered Accountant in 1986. Michael had a long career in public practice and specialised in regulatory audit and ancillary services to small and medium sized stockbrokers and fund managers. He moved to Redmayne Bentley as Finance Officer in 2000, as part of a capital restructuring - resulting in a broader equity base for the firm for the future. Michael became an equity partner in April 2003 along with Stuart Davis. He subsequently managed the transition to 'Limited Liability Partnership' status in 2009. Michael oversees a number of senior managers, who take responsibility for all aspects of the day-to-day financial management and compliance of our business. He has board level responsibility for regulatory returns and contractual legal issues, such as property leases and agreements with our branches. Michael has also managed noticeable growth in our branch network and the range of IT services managed for them through oversight of our internal IT development team and relationships with various providers of outsourced services. Kim is a Fellow of the Chartered Institute of Bankers and she holds a post graduate diploma in financial services. She worked at Leeds Building Society for 28 years, most recently as the Sales and Marketing Director as an Executive member of the Board. 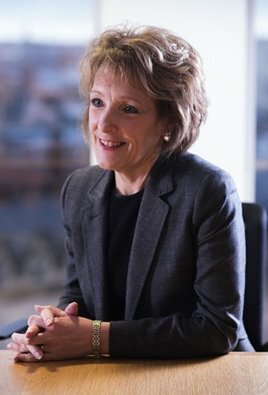 She holds the Financial Times Non Executive Diploma and is also a Director of Business and Enterprise Finance Ltd (a subsidiary of West and North Yorkshire Chamber of Commerce), Furness Building Society and Bank of Cyprus UK. 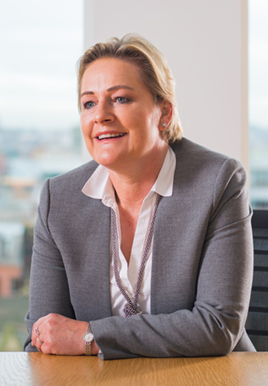 Kim joined Redmayne Bentley as a Non-Executive Director in April 2016 and was attracted by the strong business performance, solid values and great reputation. Kim also chairs both the Remuneration and Audit committees. Kim is an active Rotarian and is involved in supporting local, national and international charities and good causes. The Executive Board meets monthly, to submit operational reports covering all parts of the business and is responsible for setting business plan objectives and implementing Main Board directives. Each member of the Executive Board has an operational role within the firm. 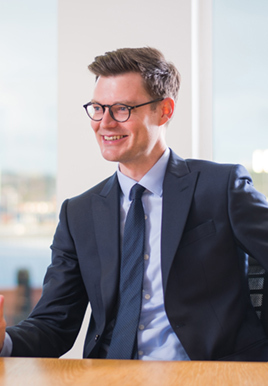 James is based at the firm’s Leeds head office in Bond Court, and has responsibility for investment management and research as well as sponsoring and leading business change across the firm. He joined Redmayne Bentley from KPMG, where he was Head of Equity Research in their Investment Advisory division and advised large corporate pension schemes on their investments. Before joining KPMG, the Chartered Wealth Manager spent nearly seven years as a UK Equity Manager for the West Yorkshire Pension Fund, managing around £500m of UK equities. Ahead of the move to institutional fund management, James spent the formative part of his career in the private client investment management industry with Rathbone Investment Management. In addition to his board responsibilities, James is also head of Redmayne Bentley’s Strategic Asset Allocation Committee. 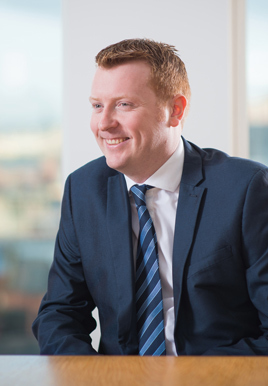 James has an MBA with Distinction from the University of Leeds and is a Chartered Fellow of the Chartered Institute for Securities and Investment with over 15 years of institutional and private client investment management experience. Mark joined the firm in 2011 as Head of Regulation/Compliance, having held a variety of senior sales management and compliance roles previously with a leading life assurer, a large IFA Network, a significant building society group and also a brief sojourn at the regulator. Mark is now Director of Regulation and a member of the Executive Board and represents the firm on the PIMFA’s Regulatory Committee. He is also a member of Redmayne Bentley's Audit, CASS and Remuneration Committees, and chairs the Conduct Risk Committee. Mark also attends the firm's Advisory Group. Liz joined the firm in October 2018 as Director of Human Resources (HR), responsible for HR, training and Organisational Development. She sits on the Remuneration and the Conduct, Legal and Regulatory Risk committees. A Chartered Fellow of the CIPD with over 20 years working within HR, Liz started her career in sales and marketing before moving into HR. With 14 years’ experience in financial services, Liz has also worked in other industries including building, construction, engineering and clinical environments. Liz holds a Masters Degree in Strategic HR Management. Her work has gained industry recognition, including a Gold Business Award at The Jersey Business Awards. Liz’s voluntary roles have included school governor, a governor for a NHS Trust and non-executive director in the social housing sector. Tim first started in the industry in 1984 at a regional stockbroker. 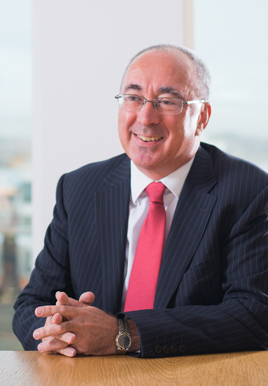 Having moved to Leeds in 1991, Tim was one of the first employees of Dealwise, undertaking postal and telephone execution share-dealing of privatisation shares. Dealwise was sold by Wise Speke in 1996 to Skipton Building Society, who in turn sold this to TD Investor Services in 2000. Leaving TD in 2001, Tim then spent three years at Fyshe Horton Finney before joining Redmayne Bentley as Head of Operations in 2005. Tim is responsible for all operational areas within the firm and is a member of the Risk and CASS Committees, Executive Board and is the firm’s designated client money officer. Tim also attends the firm's Advisory Group. Paul joined the firm in 2014 as Financial Controller having worked at one of the UK’s largest financial advisory groups. He is a Chartered Management Accountant and has spent his entire career to date working within the financial services industry. Paul is now Director of Finance and a member of the Executive Board. He is responsible for the Finance & Payroll, Accounts, Reconciliations, Risk and Facilities departments within the firm and is also a member of the Risk Oversight, CASS and Audit Committees. Phil joined Redmayne Bentley in 1995 as a placement student, returning in 1997 after graduating from University. Following the dot com boom of the late 90’s, he started the Premier Dealing service for active clients in 2001, moving on to become Head of Dealing in 2005. Phil is Director of Stockbroking, a member of the firm’s Executive Board, Risk Management Committee and Advisory Group and plays an active role in general change management. Damien joined Redmayne Bentley's Chislehurst branch as a trainee stockbroker in 1993. He soon passed the registered representative examination, enabling him to work on the execution-only desk as a stockbroker. Business increased, which led to the office being relocated to its current premises in Locksbottom. Damien progressed to the proactive dealing desk in 1996, and in 1998 took the position of dealing room manager. The office continued to expand, and by 2000 it was the largest location within the Redmayne Bentley network. 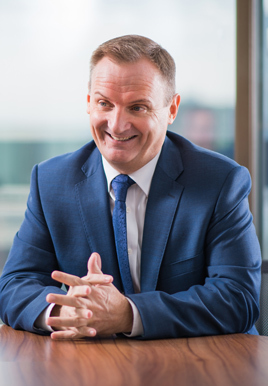 In 2002 Damien was promoted to head of office and assumed greater responsibilities when the Locksbottom office became part of Redmayne Bentley's head office in 2003. Over the years, Damien's role has developed and expanded significantly, covering many areas of the business. He currently has the dual role of head of office for the Locksbottom office and Director of IT for the firm. In addition, Damien is a member of the firm's Executive Board, where his responsibilities include operational matters as well as business strategy and planning. Nick started his career in the industry in 1990, just a year prior to joining Redmayne Bentley in September 1991 as an associate stockbroker in the Chislehurst (now Locksbottom) office. He became an employee of Redmayne Bentley in 2002, joining the firm’s senior management team as Head of Trading six years later in 2008. Nick became a member of the firm’s Operating Board in 2011 and now sits on Redmayne Bentley’s Executive Board, as Director of Business and Branch Development. 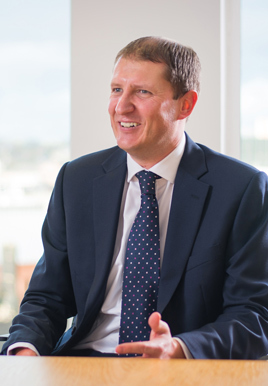 Nick plays a key role in Redmayne Bentley’s on-going growth and expansion strategy and has had direct involvement in the opening of new regional offices and managing acquisitions, including the integration of the private client business of SP Angel in 2007. Nick is based in, and is head of, the London office. This period marks the start of Redmayne Bentley's history within the stockbroking industry. In 1844 the Leeds Stock Exchange Association was founded during the height of the railway boom. Around this time, trading took place between 10am and 3:30pm. John Redmayne, a Yorkshire Bank Clerk set up his own stockbroking firm in 1875, just before steel and electricity stocks led to the stock market boom. In 1876 he was elected as a member of the Leeds Stock Exchange. His main aim was to provide a first class service to clients. This remains our priority for Redmayne Bentley today. The first branch office of Redmayne & Co was opened in Harrogate in 1900. During this time the UK led the world in the volume of stock market business although four years of market decline followed the First World War. Over at the London Stock Exchange (LSE) top hats and bowler hats were introduced as a formal rule in 1909 to distinguish between 'jobbers' and 'brokers'. Jobbers wore top hats and would conduct business on the trading floor, whereas brokers wore bowler hats and acted as agents on behalf of the public. During quieter times at the LSE traders could often be found reading a newspaper or partaking in raucous games. In 1923 the London Stock Exchange received its own Coat of Arms with the motto 'Dictum Meum Pactum' which translates to 'My Word is My Bond'. In 1923 Gavin Loudon joined the firm; over his career he oversaw the merger of Redmayne & Co, with FW Bentley Co and JW Granger & Co. He also became Chairman of the Leeds Stock Exchange. In early 1930 the Great Depression reached Britain as world trade continued to fall, however, in 1933 the markets began to pick up. The Second World War saw stock market membership decline again as the government and colonial supported the stock market through the war. Post-war a nationalisation programme began of coal, railways, the Bank of England, steel, gas and electricity. The fifties were a decade of prosperity as rationing ended and the stock market became more accessible to ordinary people. The bull market gathered pace as retail stores boomed. The following decade cemented Redmayne Bentley as you know it today with the merger of Redmayne & Co, FW Bentley & Co and JW Granger & Co. The partners at the helm were Gavin Loudon, Bill Sidgwick, Reg Griffiths and Keith Loudon, with current Chairman Keith Loudon joining the firm in 1962. The seventies saw the first female members admitted to the market and the Leeds Stock Exchange amalgamated with the London Stock Exchange. 1974 reached the height of the bear market as investors left the market after a sharp fall by 70%, however, a year later investors returned to see the market make record gains of 136.3%. The FTSE 100 opened on 3rd January 1984 with a base level of 1000 index points and is now one of the most widely used stock indices in the world. This decade saw a major privatisation programme implemented by the Conservative government. The programme saw 10 water companies float on the same day in 1989 and 12 electric companies float on the same day in 1990. The 'Big Bang' in 1986 paved the way for dramatic changes at Redmayne Bentley with record trade volumes and 9 Redmayne-Bentley offices opening across the UK. In the eighties staff numbers grew and Keith Loudon, Allan Collins and Bob Howe were the partners of Redmayne Bentley at the time. Redmayne Bentley's Judith Speight became the first lady dealer in Leeds and Rachel Mallinson became the first lady member of the Leeds Stock Exchange. 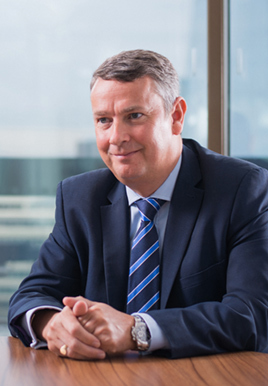 In 1993 David Loudon, Joint Chief Executive, joined the firm. In 1992, the firm's fortnightly newsletter Equity Insight was launched. It celebrated its 500th issue in 2011 and still provides investment ideas for active investors today. The mid-nineties brought change to the Redmayne Bentley Partnership with David Loudon and Michael Coleman being appointed partners. The investing public received windfall shares from the demutualisation of building societies. Redmayne Bentley received a number of accolades including UK Stockbroker of the Year at the Investors Chronicle Awards. The end of the century saw the stock market reach its then peak at 6930.2 with the technology, media and telecoms boom; so bargains and client levels were boosted. During the dot-com boom, technology companies entered the stock market and experienced rapid growth, which lifted the market as a whole. But, the boom was short-lived as soon after the bubble burst and many companies disappeared from the market. 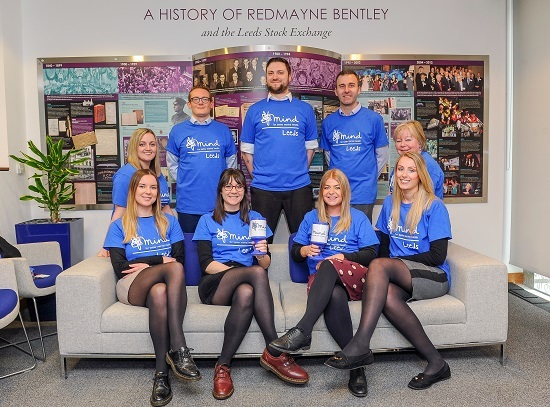 Redmayne Bentley brought its presence to the high street with the 'Stocks and Shares Shop' and 13 new offices, continuing the firm's emphasis on providing an accessible service. In 2003 Michael Wheeler and Stuart Davis became partners. TV, camera and radio facilities were installed so the firm's staff could provide comment on the market. Broadcasts were regularly made for BBC, Sky, ITV, CNBC and Bloomberg. The firm celebrated its 130th anniversary in 2005 and Chairman Keith Loudon was invited to open the day's trading at the London Stock Exchange. The firm began a programme of expansion and acquisition by acquiring financial services software company Minnie Business Systems and the private client business of SP Angel and Teathers. This period also saw the opening of several new office locations. Redmayne Bentley achieved the Investors in People standard in 2005, an accolade the firm continues to achieve today. The 2008 credit crunch saw volatile markets but Redmayne Bentley continued to grow with the opening of its first overseas office in Cork, Ireland in 2009. In 2011 the Leeds Head Office relocated to new offices at 9 Bond Court, complete with a new shop front, conference room and private client meeting rooms. The firm continued to expand its high-street presence through acquisition which included the private client business Fyshe Horton Finney in 2013. The firm has constantly received prestigious accolades from Shares Magazine, Investors Chronicle and the City of London Wealth Management Awards, including Stockbroker of the Year in 2011 and 2014. Chairman, Keith Loudon received a Lifetime Achievement Award for his services to the stockbroking industry from the City of London. 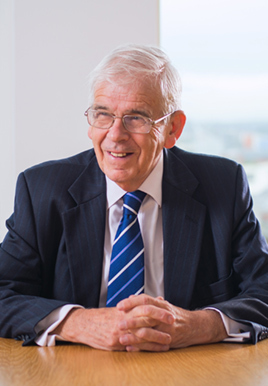 As 2014 drew to a close, there was a further honour for Keith when he was made an Officer of the Order of the British Empire (OBE) in the New Year's Honours List for his services to the Leeds business community. In 2017, Redmayne Bentley was named 'Best Full Service Stockbroker' at the 2017 Investors Chronicle and Financial Times Investment and Wealth Management Awards for the third time in the last four years, and also received the accolade of 'Best Advisory Service' at the City of London Wealth Management Awards. In 2016, Redmayne Bentley was named 'Best Advisory Stockbroker' at the ADVFN International Financial Awards, 'Best ISA Provider' at the City of London Wealth Management Awards and 'Best Stockbroker for Customer Service' at the Investors Chronicle and Financial Times Awards. 2018 started with a new brand identity for Redmayne Bentley which reflects the firm’s heritage and successes, while signalling clear direction and confidence for the future. In March, Redmayne Bentley received the accolades of ‘Best ISA Provider’ and ‘Regional Wealth Management Company of the Year: North of England’ at the 2018 City of London Wealth Management Awards. In November, Redmayne Bentley had an unprecedented evening of success at the Investors Chronicle / Financial Times Investment and Wealth Management Awards 2018, being awarded 'Best Self-Select ISA', 'Best Full Service Stockbroker ', 'Best Stockbroker for Customer Service' and 'Stockbroker of the Year'. 2019 began with an award for 'Best Advisory Service' at the City of London Wealth Management Awards 2019. 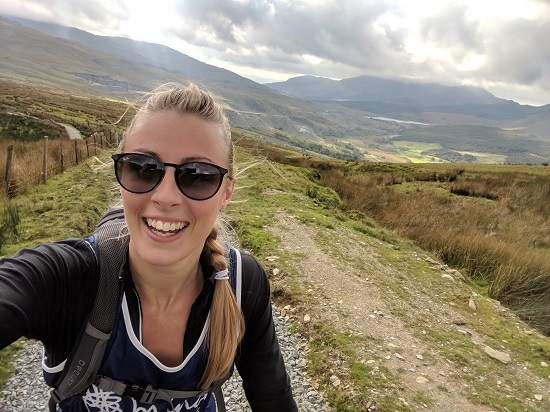 We have raised funds for a number of charities over the years, taking part in bake-offs, dragon boat racing, a static cycle challenge and a corporate marathon to name but a few. Our portfolio management service for Charities is specifically designed for Trustees of Charities who wish to entrust the management of the Charity's investments to our expertise. Redmayne Bentley applies the same duty of care to any portfolio, be it a charity, pension or individual account. We will work with the trustees to foster a relationship based on trust and mutual understanding. Charity portfolios will be managed in accordance with the specific investment objectives, risk profile and ethical policy applicable to the remit of the charity. In 2014 we were awarded a 'Corporate Partner Award' at the 8th Annual Yorkshire Air Ambulance (YAA) Recognition Awards. I am more than happy to give Redmayne Bentley top marks ... I always get an absolutely first-class service. I have recommended them a number of times to various people. I have been investing for more than 30 years and have used about six brokers in that time. In 2011 a friend recommended Redmayne Bentley, and since then the service I have received is first class ... they provide everything I require, when I need it ... I would certainly recommend Redmayne Bentley's services. I have been a client of Redmayne Bentley for many years after being recommended them by a work colleague. I have always received excellent service from them. What I like about Redmayne Bentley is the fact the fact they communicate in language that I can understand, rather than use jargon. Everything is carefully explained at a level I can relate to. I would recommend them to my friends and family without a doubt. Our friendly and personal service has repeatedly been recognised with quality service and administration awards. We are proud to have been successful across many of our stockbroking and investment management services.